When it comes to fire protection for your Antioch kitchen or commercial facility, there can never be short-cuts or a compromise in the quality of your equipment. Our Antioch customers rely on us because they know we sell and install the best fire protection and fire suppression equipment, sprinkler systems and portable fire extinguishers and cabinets. AAA Fire Protection Services grease exhaust cleaning services are consistently rated the best and our commercial grease filter exchange is dependable and reliable. 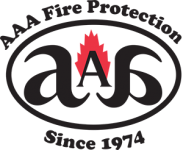 AAA Fire Protection Services prides itself on honesty and dependability. We know that when it comes to safety and peace of mind, there can be no shortcuts. Our technicians are always learning and improving because we are passionate about what we do and always about your safety. Our business was established more than 40 years ago, and since that time we have serviced thousands of restaurant and industrial clients with the finest products and the most dependable services in the field of fire protection and suppression. As a family-owned and run business we have the utmost dedication to the well-being of our Antioch customers and employees. Whether you own a restaurant or you are an industrial client, the commitment of AAA Fire Protection Services is to ensure the safety of you, your staff and facility.